Offering you a complete choice of products which include cooling temperature controller, economic temperature controllers, pid temperature controller, analog temperature controllers and profile controllers. We offer a wide range of Cooling Temperature Controller which is available in the market in varied specifications and sizes. Easy to use, these cooling temperature controllers are inbuilt with alarm systems. Moreover, their temperature can be adjusted easily as per the requirements of the clients. Our range is reckoned for its sturdiness and strength. Besides, we assure our clients that a quality tested range is delivered from our end. 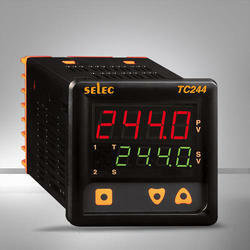 Capitalizing the skilled team of professionals, we offer a wide range of Economic Temperature Controllers. These temperature controllers are known for acquiring low maintenance cost and consume less power. 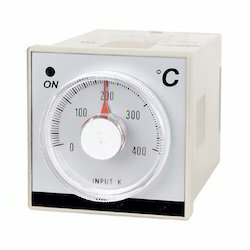 Moreover, our temperature controller is widely used to control the temperature and thus, it is made available in the market at the most reasonable prices. 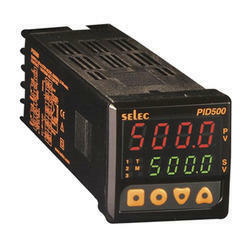 From past many years, we are occupied in offering premium quality PID Temperature Controller to our customers. 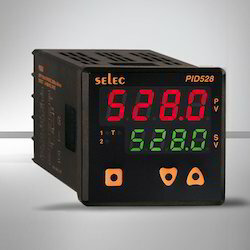 Our offered PID Temperature Controller which is also known as Proportional Integral Derivative Controllers, which finds its applications in various industrial control systems. It is one of the most used feedback controllers. Offered temperature controller is reckoned amongst the clients for its fine performance and durability. Easy to use and install this temperature controller is known for its precision. We are an eminent name occupied in providing premium quality Analog Temperature Controllers to our precious customers. The offered analog temperature controller is reckoned amongst the clients for its precision and accuracy. This range is demanded amongst the clients for its fine performance and optimal functionality. Our temperature controller is widely used to control the temperature of refrigerator, air conditioner and freezer. Moreover, we assure our clients that a quality tested range is delivered from our end. 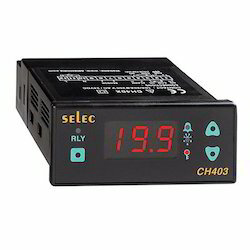 A wide range of Digital Temperature Controller is offered by us that is highly demanded by the clients for its durability and reliability. Easy to use, this range is made available in the market in varied patterns and sizes. Innovatively designed, this range is made available in the market at the most cost-effective prices. Moreover, we assure our clients to deliver this range in the specific point of time.